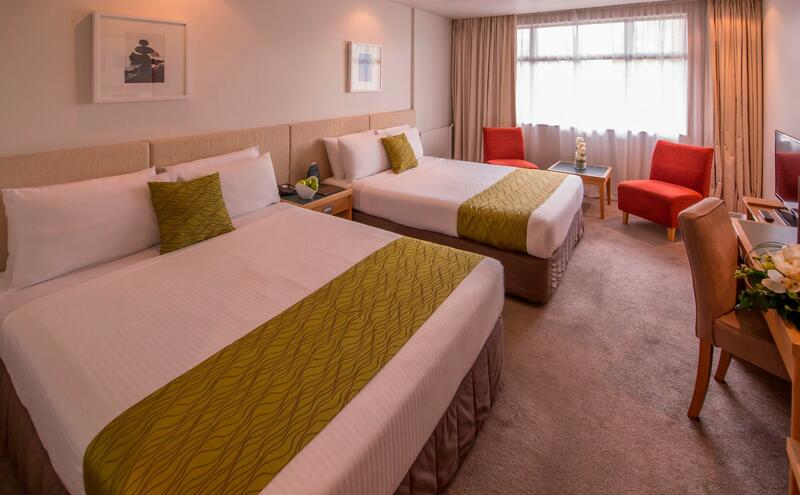 يشكل فندق Sudima Lake Rotorua Hotel بموقعه الممتاز في قلب هذه المنطقة الرائعة كنقطة انطلاق ممتازة لاستكشاف المدينة. يقع مركز المدينة على بعد 0.2 Km فقط. ويمكن الوصول إلى المطار خلال 10 دقيقة. 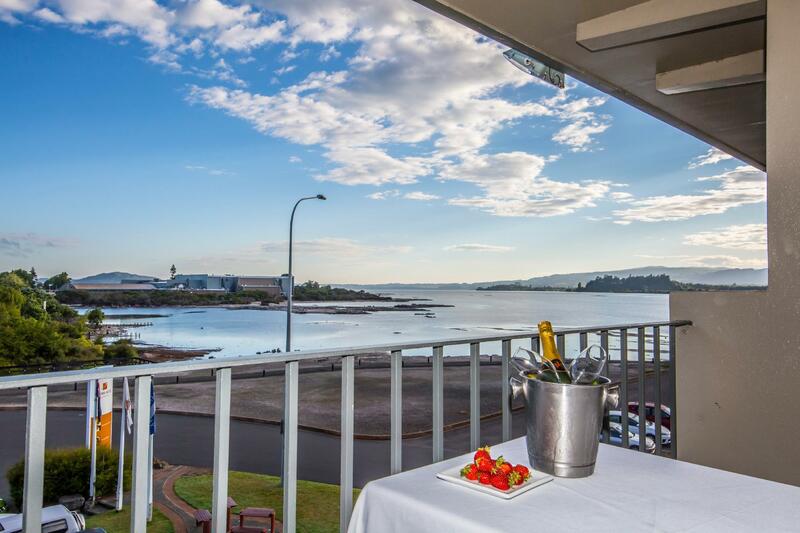 يوفر الفندق بفضل موقعة الجيد وصولاً سهلاً إلى أهم معالم المدينة.
. يقدم Sudima Lake Rotorua Hotel خدمات لا غبار عليها وكل أشكال اللياقة وحسن الضيافة اللازمة لإسعاد ضيوفه. يقدم الفندق فرصة للاستمتاع بشريحة واسعة من الخدمات بما فيها: خدمة الغرف على مدار الساعة, مرافق مخصصة لذوي الاحتياجات الخاصة, واي فاي في المناطق العامة, صف السيارات, خدمة الغرف . تعكس غرف الفندق البالغ عددها 250 المنتشرة في 3 طوابق جواً من الدفء والألفة.خدمات عصرية مثل تلفزيون بشاشة مسطحة, سجاد, قهوة فورية مجانية, شاي مجاني, بياضات موجودة في بعض الغرف المختارة. يمكنك الاستمتاع بالأجواء المريحة التي تقدمها حمام سباحة خارجي, مسبح (للأطفال) طوال النهار. 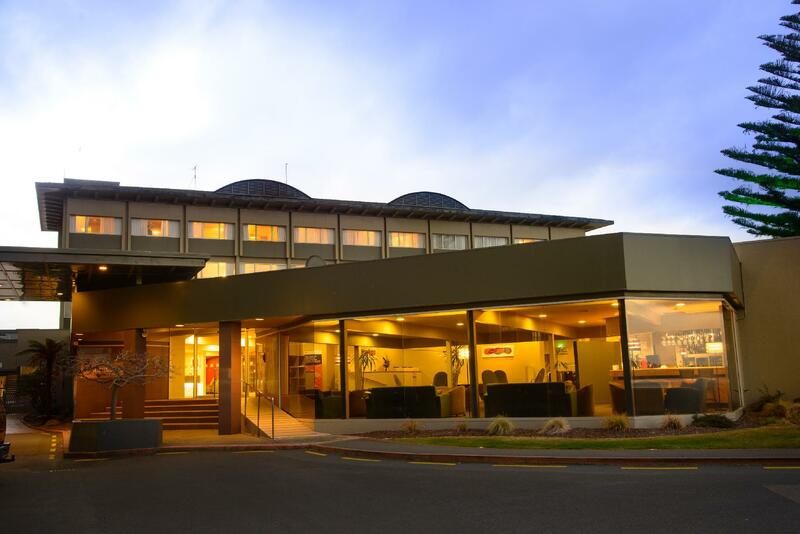 يشكل Sudima Lake Rotorua Hotel بخدماته الراقية وموقعه الممتاز، قاعدة مثالية للاستمتاع بإقامتك في المدينة. تتطلب ساحات انتظار السيارات رسومًا إضافية. يُرجى الاتصال بالفندق مباشرةً للحصول على مزيدٍ من المعلومات. الفطور متاح لقاء رسم إضافي لكل شخص. الأسعار و الاوقات تختلف حسب اليوم. برجاء التواصل مع العقار لمزيد من المعلومات. يوفر الفندق خدمات تغيير العملة. Staff very helpful help to take our luggage to our room because our room located to the other buildings that have no elevator in it. The hotel got big parking lot and located near the lake. Bedroom although looks a bit old but is clean. The bed also comfortable to sleep in. Overall is very good stay. Customer service is excellent, staff very very welcoming and helpful. Location is superb with access to getothermal sights right outside the property. It is also very convenient to central CBD and within walking distance of many varied water landscapes. The room was very clean and well designed. Rome service was fast and economical. If you have issues with Sulpher fumes this may not be the right location for you. All the staff were incredibly friendly and helpful. The pool and free spas were great fun for the kids, a bit small, but it was all we needed really. They even supplied inflatable pool toys which were a nice touch. Buffet breakfast was the full range, very satisfying. Our room was spacious and clean, the beds were seriously comfortable. Location was very good, close to everything, especially the beautiful lake front. They’re doing a bit of renovation, but honestly we never heard noise except for the radio the workers were listening to. Just okay. Rotorua was a bit of a let down I’m general. Our family stayed for the weekend with friends. The staff were friendly and accommodating to our requests. The breakfast was fresh and appetising. The rooms were clean and tidied as per door signs. The bathroom floor tiles were peeling, some of which came off onto our feet. Would have liked to have perhaps a basic Sky TV package in rooms, as the All Blacks were playing. The game was being shown in the lobby, but would have preferred it in our room. Overall, a pleasant stay with great central city location. We had to book an extra room at the last minute and the front desk staff sold us a room that was obviously in the old wing, opposite another block of rooms under construction and barricaded. The front door to this wing was broken and obviously no key card was required. The guestroom looked old smell musty and the phone line did not worked. When we requested for a change of room, this comes as no surprise to the front staff. Totally disappointing! The location of this hotel was good because it was in the heart of the city centre. It is also close to Lake Sudima, which may or may not be a good thing - I hated the smell of Sulphur coming into air every time I am out of the room! The wifi advertised was also non-functional, decor was outdated to the 80s. However, the staff are friendly and warm. Great motel, great location, friendly staff comfy beds and even a pillow menu - wow wish I'd stayed longer just to try all the pillows. Great place to stay close to the lake. My daughter and I booked online for 3 nights at $120 per night for a superior room with 2 queen beds. The room looked good, but had no air-conditioning. It was unbelievably stifling after a hot day and the windows would only open a few centimetres. The hotel was fully-booked with large bus tour groups. To their credit, a room was found for us, with air-con, after I stood my ground. I found it very poor, however, that hotel rooms starting at $140 (their cheapest website price) would have no air-conditioning. If you book here, ensure a guaranteed one in summer! All else went well for our 3 days, in our new cooler room, with helpful staff and good housekeeping. We did not use the restaurant, as the prices were too high for any meal, including breakfast, for our budget. The hotel is very close to supermarket, Blue Baths, Gov Gardens and plenty of cafes. A walk further around the lake is delightful from here, with lots of bird life. Don't expect pretty views from the hotel though. The website photo of the blue lake in front is well and truly photoshopped! While the hotel is in a good location the upkeep on the room facilities indicates that it is not being maintained. The hotel appears to be on the tour bus route where there are many one night stays. Hence this trade is the bulk of the hotel income and where their focus seems to be. Value for money does not really rank at all. Highly overpriced for what was provided. Hotel Positives: Location Hotel/Room Negatives: non supportive soft beds, broken electric wall plugs, Air-Con not working, room card stopped working after 9.30am on the check out day- check out is at 11am.